Today we shall discuss the career & scope of Immunology in Pakistan. Almighty Allah has given very powerful immune system to all living creatures including human beings. Our immune system save us for all diseases and germs. White blood cells, lymphatic system, skin and bone marrow play important role in defending our body from diseases, germs and any foreign elements. We become victim of diseases just because of weak immunity system. Immunologists have also invented vaccines which strengthens our immunity system against different diseases. In my opinion Immunologists can serve the humanity by researching on homeopathy as homeopathic medicines eliminate the diseases by empowering the immunity system or vital force of human body. HIV Aids is most fatal disease just because it destroy the immunity system of human body and HIV affected person become pray of many diseases. Allergies of different kinds are also common these days. Allergies are also result of weak immunity against foreign factors. 1-Discover different new methods of boosting immunity. 2-Immunologists discover new vaccines for different fatal diseases. 3-Invent new medicines for all those diseases which are caused by weak immunity like ordinary allergy to HIV AIDS. 4-They suggest diet and medicines for strengthening the immunity system. 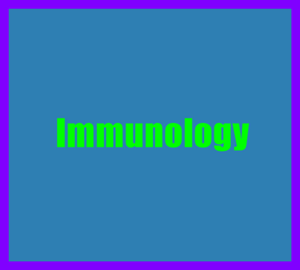 BS, MS and PhD degrees are offered in the field of immunology. For getting admission in BS you need the clear F.Sc Pre Medical or A-Level. Entry test is also taken by some institutes. It is recommended to get PhD degree in this field for getting teaching job or for become a scientist. 1-For becoming immunologist you need to have thirst for research and knowledge. 2-You must have interest in medical fields like gene therapy, xenotransplantation, biochemistry, physiology, anatomy, pathology and life sciences. 3-Only scientific minded persons should come in this field. 4-You must have love for humanity as in this field you will have to research for years on just one topic. Immunologists can get jobs in hospitals, labs, medical research centers, medical & dental colleges, pharmaceutical firms, cancer & HIV AIDS research centers. In short BS Immunology is one of the best alternative option of MBBS and BDS due to its great scope. Visit our medical categories for reading more related articles also visit our facabook page regularly.